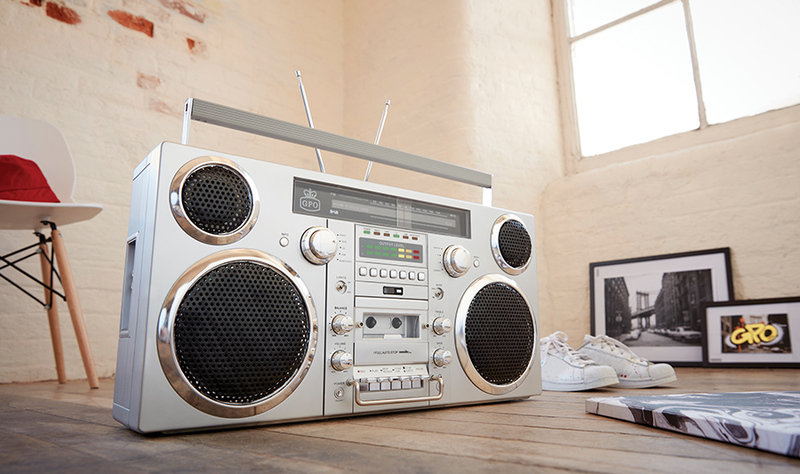 The Brooklyn is GPO’s first 80s inspired Boom Box. A fully portable music system, the Brooklyn takes the 80s boombox and plugs it into the 21st century! The one that’s really taught our attention is from Boomboxery.com, a forum for people who love Boomboxes. These guys really know their stuff – they’re collectors and experts on 80s ghetto blasters. It’s a great review. It “looks cool” with a “really nice look” and “sounds even across all formats”. The tape “plays very well with stable and consistent playback”.